I usually like when two ideas are combined to create something better. 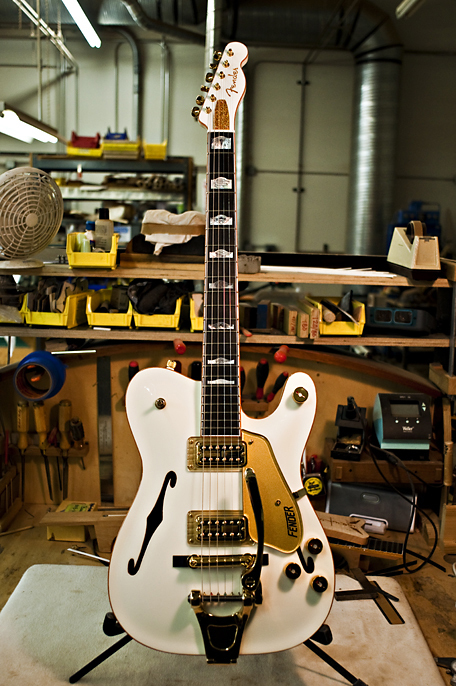 I am not sure the Fender White Chicken is better that the fabled Gretsch White Falcon, but it is sure is nice to look at! I love telecasters, and I think I would probably dig a Gretsch if I had one some day. This is truly beautiful. Charley Likey!